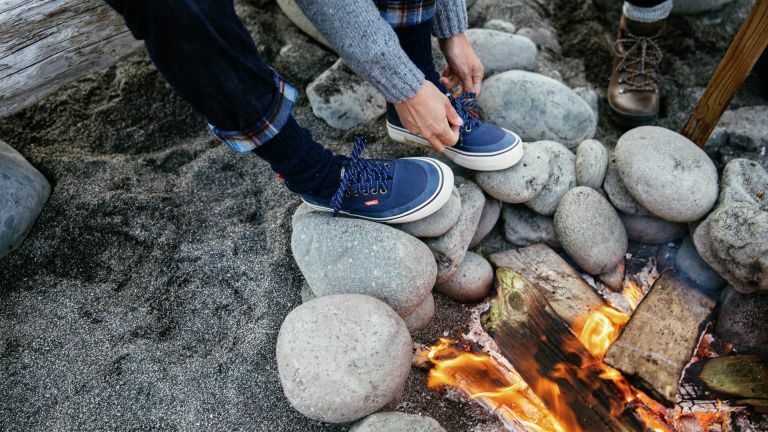 Vans has partnered with British clothing brand Finisterre to create a collection for hardy surfers and adventurers looking to brave the elements this winter. The collection takes two Vans Classics silhouettes, the Authentic and Chukka, as well as the addition of a new design; the UltraRange Hi, and adds Finisterre's innovate approach to fabric. T3's favourite piece in the collection is undoubtedly the UltraRange Hi. Featuring a LuxLiner inner sock construction, UltraCush foam cushioning from heel to toe, and reverse waffle lug tread pattern, it's an attractive, comfortable, durable, and grippy shoe designed to get you where you need to go. “Finisterre and Vans share a love of the sea and a passion for great product, so the result of our partnership is a collection that’s designed to get you out there, on the road and enduring the elements. We’re excited to see the adventures they’re taken on,” said Tom Kay, Founder of Finisterre. The Vans + Finisterre collection is now available in select Vans stores across Europe and Finisterre’s stores. Prices start at £75 (around $100).